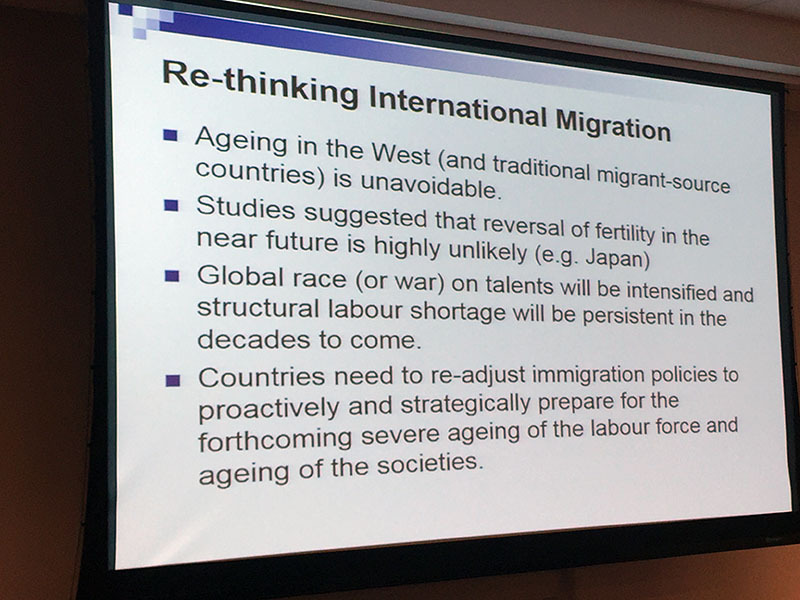 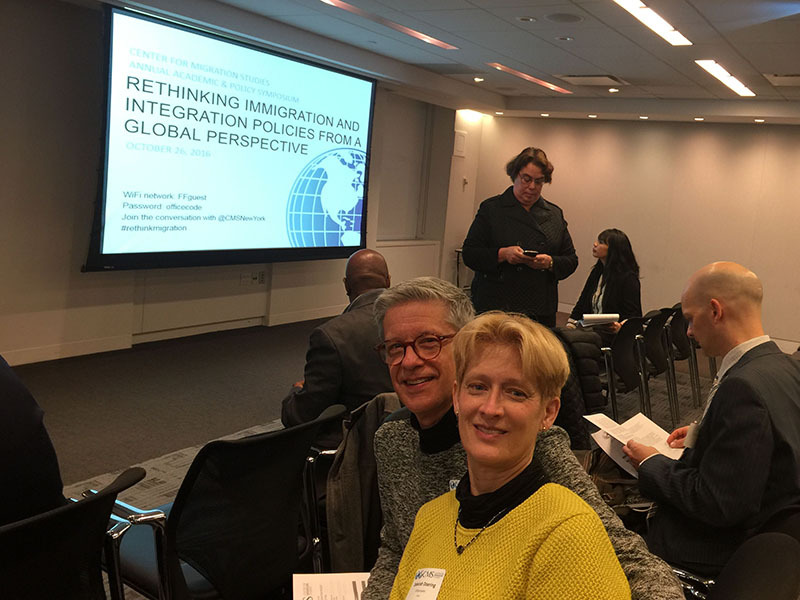 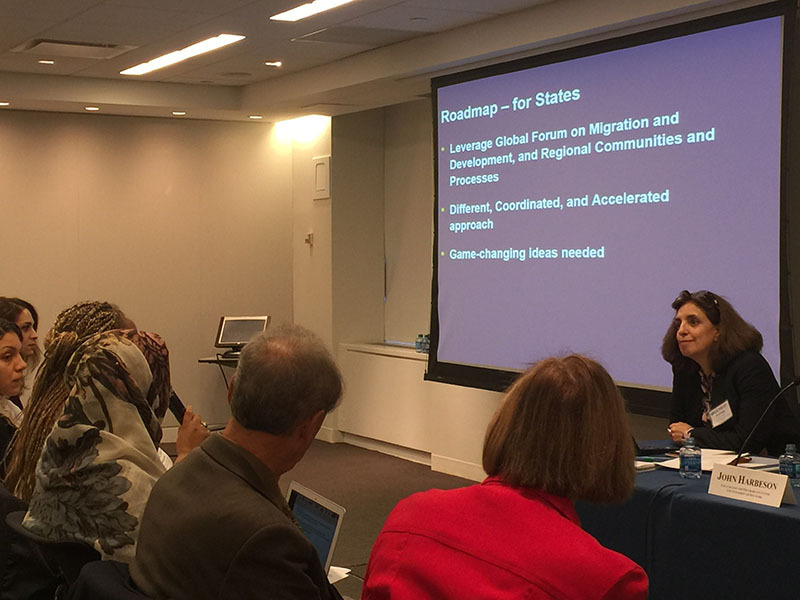 DOEprojekts (co-direced by Deborah Adams Doering and Glenn N. Doering) participated in the Center for Migration Studies' (www.cmsny.org) "Rethinking Immigration and Integration Policies from a Global Perspective" Symposium in New York City, on October 26, 2016. 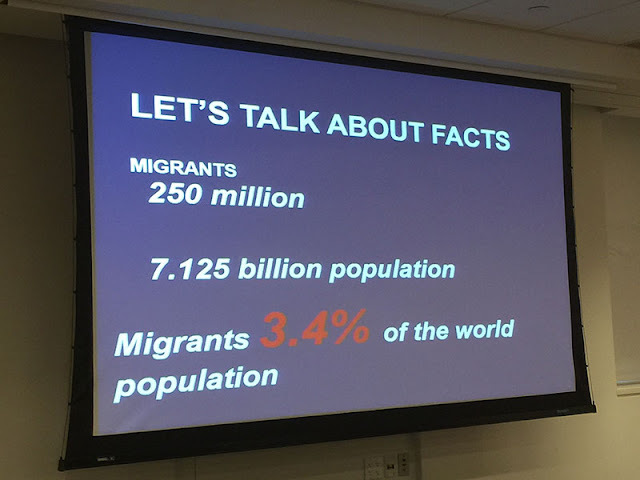 The CMS symposium's panelists — lawyers, academics, and policy makers — gave data-driven presentations that will inform our work for our upcoming "Migrations" installation/exhibition/workshops at the Sheen Center for Thought and Culture, NYC, beginning in February 2017. 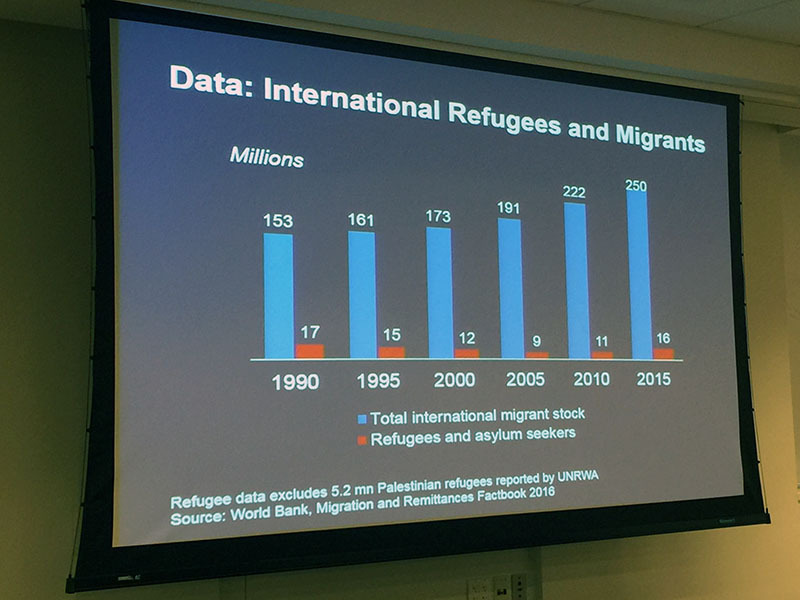 All the symposium presenters, the majority of whom have devoted their professional lives to studying migration-related issues, emphasized the immense complexity of contemporary global migrations, including the "Refugee Crisis" (which was not called a crisis until a very large number of refugees entered Western countries). Also worthy of note is that migrants who are Muslims represent 4% to 7% of total immigrants/refugees in any given year, one of the smaller percentages of overall migrant groups. 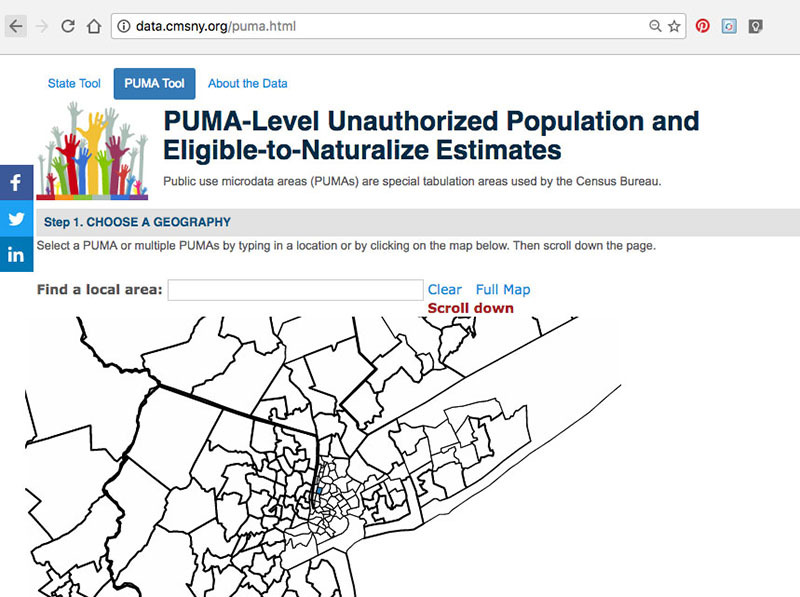 If one's interest concerns "Undocumented Immigrants," CMS's website allows any person to explore and investigate data related to "Unauthorized Population" and "Eligible-to-Naturalize" persons in their area. Go to http://cmsny.org/cms-research/democratizingdata/pumadatatool/. We have all seen the human interest stories about immigrants and refugees that tear at our hearts — and certainly these stories have their purpose in our US and international "media machine," but at the CMS symposium, it was refreshing to take a close look at the numbers and polices that are behind the larger migration issues that we face in our contemporary moment. 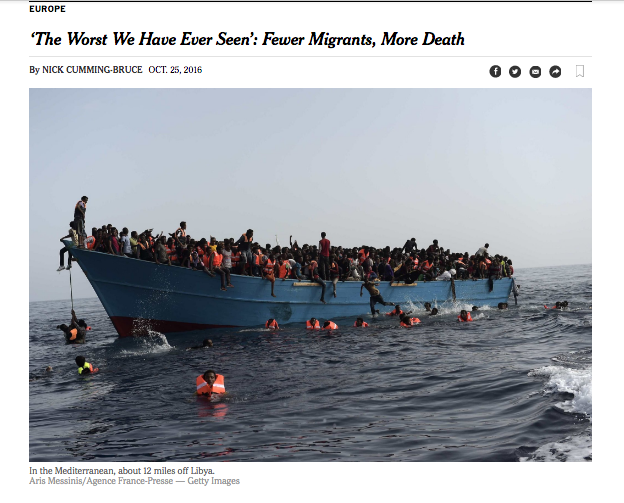 DOEprojekts' "Migrations" exhibition/installation/workshops will offer a space for aesthetic exploration, media experimentation, and community dialog around the cultural keyword "Migrations." Please mark your calendar for our opening on Thursday, February 23, 5:30 pm at the Sheen Center, 18 Bleecker Street, NYC. 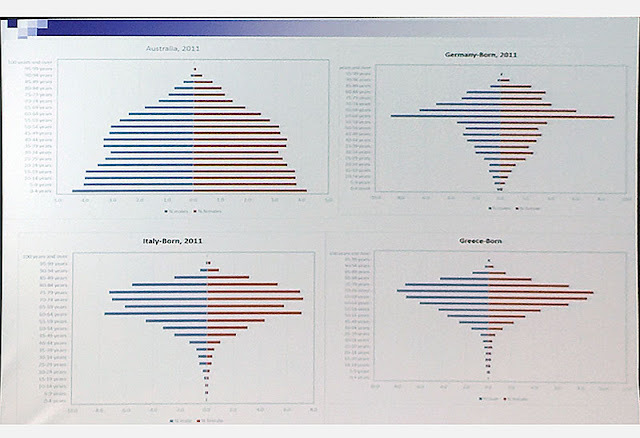 In addition, DOEprojekts will lead a number of "Coreforms and Keywords" art-making workshops and participatory events as part of the 7-week exhibition. If you would like to participate in an upcoming 2017 art-making workshop, or have a group who would benefit from one of our workshops, please email DOEprojekts@gmail.com.